This year’s event was the third for Pinot Days in Southern California, held at Barker Hanger at the Santa Monica Airport. The room was moderately crowded with a variety of attendees including trade people, serious pinotphiles, and casual drinkers out for a social afternoon. Most of the consumers who attended did not spit, and many became inebriated quickly, an unfortunate scene at these large afternoon walk-around tastings intended to benefit wineries eager to attract new customers. Unfortunately, wineries end up pouring wine to people who either are not discerning or are sideways and beyond fully appreciating the wide array of outstanding Pinot Noirs offered. Over 60 wineries were in attendance and many were pouring several wines so it was impossible to sample every one. The task of evaluating wines is complicated by the crowding at many tables and the noise. Yes, people who drink Pinot Noir quickly start talking louder and become more animated. Nevertheless, I took on the challenge, acquiring a quick glimpse of many wines and arriving at some impressions that I can pass on to you. Of those producers I engaged, certain wines stood out and are briefly described here. August West: Three bottlings are all very solid: 2010 Graham Family Russian River Valley Pinot Noir, 2010 Rosella’s Vineyard Santa Lucia Highlands Pinot Noir (dark red fruit, more feminine and passionate), and 2010 Sierra Mar Vineyard Santa Lucia Highlands Pinot Noir (a new vineyard 5 miles south of Rosella’s with dark fruit and substantial tannins typical of many Pinot Noirs from this appellation). New, more classy labels. I will be reviewing the wines formally for the next issue. Big Basin: A newer Santa Cruz Mountains based producer who is crafting interesting terroir-driven wines which are not overtly fruity. 2009 Coastview Vineyard Monterey Pinot Noir (located at 2300 feet in the Gavilon Mountains with vines grafted over to Pinot Noir three years ago - first vintage - the wine has firm mountain tannins but plenty of character), 2009 Lester Family Vineyard Santa Cruz Mountains Pinot Noir (dark-fruited, young and linear now), 2009 Alfaro Family Vineyard Santa Cruz Mountains Pinot Noir (herbal, savory with big- boned fruit and mild tannins - very appealing), and 2009 Woodruff Family Vineyard Santa Cruz Mountains Pinot Noir (redder fruits, impressive persistence). Several wines are not yet released. C. Donatielli: This shuttered winery on Westside Road still has talented winemaker Webster Marquez on board and the wines will be crafted at Copain Custom Crush in Santa Rosa. The 2009 Russian River Valley Pinot Noir was quite savory with plenty of herbs and mushroom in the background. Clouds Rest Vineyards: A small Petaluma Gap Sonoma Coast producer that was pouring a vertical of the estate Pinot Noir. The nearly 2-acre vineyard is on Sonoma Mountain but carries the Sonoma Coast appellation. Anthony Austin is the winemaker. The 2008 “Femme Fatale” Sonoma Coast Pinot Noir is estate grown and is a more approachable, more reasonably priced ($40) offering with dark fruits, spice and bright acidity. The 2003 Sonoma Coast Pinot Noir has aged beautifully with still lively dark stone fruits in evidence, the 2004 Sonoma Coast Pinot Noir is still rugged and tannic, very structure driven and earthy, the 2005 Sonoma Coast Pinot Noir is soft with melded tannins and an herbal undertone, the 2006 Sonoma Coast Pinot Noir was really beautiful with high tone dark cherry fruit, and the 2007 Sonoma Coast Pinot Noir was quite soft and mellow, with impressive mid palate intensity and finish. Each vintage had its own character and all had aged nicely. All vintages except 2003 are still available for sale from the winery ($100); it is very unusual in California to be able to buy well-aged wine direct from the winery. Cornerstone: Craig Camp’s 2009 Willamette Valley Oregon Pinot Noir was recently reviewed in the PinotFile and was very impressive. I re-tasted it to confirm my impressions and I still hold this wine in high regard. Delicious middleweight flavors of blueberries, dark cherries and hints of spice. Very juicy with well-honed acidity and supple, dusty tannins. One of the best 2009s I have had from Oregon. Camp is acquiring a property in Oregon with winemaker Tony Rynders and splits his time between Napa and Oregon. A Chardonnay will be added soon. Donum Estate: The 2009 Stemmler Estate Pinot Noir was a complete wine with very impressive finishing persistence. The 2008 Donum Estate Pinot Noir was a lighter vintage with very charming black cherry fruit and is more approachable early than previous vintages. The 2009 Donum Estate West Slope Pinot Noir is a very complex, serious wine working at another level with intense fruit and tannins (a keeper). Donum Estate is now in California’s upper echelon of Pinot Noir producers and without rival in Carneros. Dunstan: Kenneth Juhasz, the winemaker for Stemmler and Donum Estate, also crafts the Dunstan wines from Durrell Vineyard. The 2009 Dunstan Durrell Vineyard Pinot Noir was young, but very interesting with savory notes of herbs, earth and pepper complimenting the middleweight fruit flavors. A Chardonnay is also offered. Inman Family Wines: Kathleen and Simon Inman were enthusiastically pouring for a large crowd at their table. This eco-friendly winery in the Russian River Valley is known for its superb OGV estate Pinot Noir and Pinot Gris. At the end of last year, a 2009 Brut Rose Nature “Endless Crush” sparkling wine was released to commemorate the Inmans’ 25th wedding anniversary. The timing was ideal as there has been a modest spark of interest in California sparkling wines of late and several notable Pinot Noir producers have added a sparkling wine to their lineup. This wine is crafted from organically farmed OGV Russian River Valley fruit. 138 cases were disgorged on October 11, 2011. Kathleen believes this is the best wine she has ever made, and for me, it is among the best sparklers now crafted in California. The wine offers a fine bead, a pale pink color, and lovely aromas and flavors of strawberries, cherry and brioche, finishing with a bright cut of uplifting acidity. This sparkler sports a very handsome package and is a serious wine that is not meant just for celebrations. It is still available at www.inmanfamilywines.com ($56). 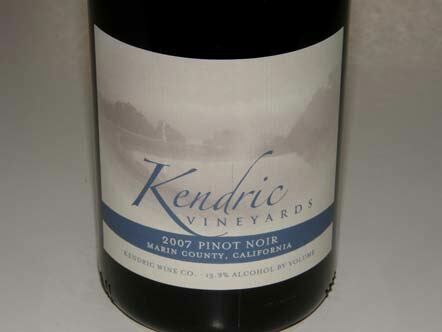 Kendric Vineyards: A vertical was offered for tasting. These are well-priced ($35) offerings that have been consistently fine. The 2004 Marin County Pinot Noir was still pleasing but austere, as the fruit had faded some and was beginning to be overwhelmed by tannins. 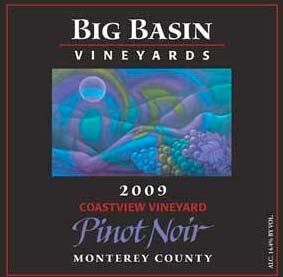 The 2005 Marin County Pinot Noir was similar but showed more secondary character and interest. The 2006 Marin County Pinot Noir was more fruity, fleshy and alluring with mild tannins. The 2007 Marin County Pinot Noir was better yet with riper fruit and a great raspberry kiss on the finish. The 2008 Marin County Pinot Noir, 70% whole cluster, was the best wine in the lineup, showing a perfect marriage of ripe fruit, spice, mid palate intensity and finishing strength. Le Cadeau Vineyard: A 14-acre Dundee Hills vineyard yielding distinctive, complex Pinot Noir. Known as the “rockiest vineyard in Oregon,” owner Tom Mortimer uses several winemakers to craft several block-driven Pinot Noirs from the vineyard. Keeping track of the names and winemakers can be a challenge, but there is no denying the top shelf quality of the wines. The 2009 Côte Est, crafted by Steve Ryan, is plush with luscious black raspberry fruit and towering aromatics. The 2009 Rocheux is the vineyard’s signature wine, crafted by Jacqueline Yoakum, a former assistant to Ted Lemon and current consulting winemaker for Keller in California. This wine has a striking minerality which reflects the highly rock strewn block from which it is sourced. The 2009 Diversite Pinot Noir by winemaker Scott Schull of Raptor Ridge is solid, but needs to shed some oak and did not hold my interest like the previous two wines. The 2009 Equinoxe Pinot Noir was crafted by Le Cadeau’s “in-house” winemaker, Jim Sanders, who trained under Mike Etzel at Beaux Freres. This wine was well-crafted with pretty darker fruits and a healthy supporting tannic backbone. The 2009 Merci Pinot Noir is the inaugural vintage for this bottling sourced from a small block of Calera and Mt. Eden selection with a small amount of 667 and 115 added. The wine has an appealing fullness and berry fruit of the highest quality, showing great potential. The 2008 Equinoxe Reserve was aged in 100% new oak (2 barrels) is big, tight, grippy and tannic like many Oregon Pinot Noirs from the 2008 vintage but has tremendous upside potential. A lot to like from this dedicated producer. Native 9: James Ontiveros is an enthusiastic supporter of Pinot Days events. His Rancho Ontiveros Pinot Noirs are always a treat, treasured by a number of pinotphiles who appreciate the individuality of the wines. They are not for everybody, as they are crafted with 100% whole cluster and can display a resulting vegetative edge. The 2009 Rancho Ontiveros Vineyard Santa Maria Valley Pinot Noir is still very young and hard to evaluate. The 2008 Rancho Ontiveros Vineyard Santa Maria Valley Pinot Noir was stunning, showing that a high percentage of whole cluster in certain vintages can produce very distinctive, complex and age worthy wines when everything comes together properly. Some of the best California Pinot Noirs I have experienced were made with a significant percentage of whole clusters. Production of Native 9 is very limited and sold through a mailing list. Olivia Brion: If you know about this producer you are either an avid reader of this newsletter or a dedicated Pinot geek. This vineyard and winery is off the beaten track in the Wild Horse Valley AVA east of Napa Valley. Olivia Brion is the only winery in this AVA which is defined by its unique soils. The vineyard site is as cool as many located on the true Sonoma Coast. Planted in 1980 by owner and winemaker David Mahaffey, 800-900 cases of estate Pinot Noir and 1,000 cases of estate Chardonnay are produced annually. The Chardonnay grapes were previously sold to Newton as a backbone for their Chardonnays, but is now all included in the Olivia Brion Chardonnay. The 2009 Wild Horse Valley Chardonnay is barrel fermented, yet avoids the excessive diacetyl flavors like butterscotch so often found in California Chardonnay. The wine is sleek and refined with subtle aromas of caramel and creme brulee on the finish. The best Chardonnay by far that I tasted at this event ($40). The 2009 Wild Horse Valley Pinot Noir is very interesting, feral and exotic in nature and quite individualistic ($38, to be released soon). All wines are held for 17-18 months before release as they need extra time for full development. 70% of production is sold direct to consumer. This is a true estate winery in the Old World sense with all wines produced from estate fruit, vinified and bottled on site at the winery which is adjacent the vineyard. Visit the website at www.oliviabrion.com for more information, to order, and to discover the origin of the name. Papapietro Perry: Ben Papapietro produces a line of consistently excellent Pinot Noirs from Russian River Valley and Sonoma Coast premium vineyard sources. The 2009 Russian River Valley Pinot Noir is still young and tannic and needs time. The 2009 Mukaida Sonoma Coast Pinot Noir (from Peters Vineyard) is striking with vibrant plum fruit and a seductively smooth texture. Unfortunately, it is already sold out to wine club members - boo hoo! The 2008 Lera’s Vineyard Russian River Valley Pinot Noir is drinking beautifully now and is always dependable. POE: There is always buzz at these events when a new producer arrives on the scene with special wines and Poe fit the description at this event. Founded in 2009 by Samantha Sheehan, Poe specializes in Pinot Noir and Chardonnay from Anderson Valley vineyards. The winemaker, Jonathan Keyes, is currently an assistant at Outpost Wines working under noted winemaker Thomas Brown. Keyes was trained at Sine Qua Non and Two Hands Winery in the Barossa Valley of Australia. The 2010 Angel Camp Vineyard Anderson Valley Pinot Noir ($48) was fresh, with the vibrant acidity Anderson Valley is known for, finishing with a cherry skin kiss. It was crafted from 115, Swan, 2A, Pommard and 667. I find that Pinot Noirs made from a blend of heritage and Dijon clones are more interesting and complex. The 2010 Ferrington Vineyard Anderson Valley Chardonnay ($42) was understated with impressive balance. Although barrel fermented in 40% new French oak, the wine had complimentary oak aromas and flavors rather than overbearing oak characteristics. You might want to get on the mailing list today (www.poewines.com). Presqu’ile: Pronounced “press - KEEL,” this newer Santa Maria Valley producer owned by the Murphy family is making quite an impression on the California wine landscape. Winemaker Dieter Cronje is about as enthusiastic a vintner as you will find and vineyard manager Jim Stollberg has brought the young estate vineyard into prominence quickly. The emphasis is on natural winemaking with native yeast fermentations, little new oak, and absence of fining and filtration. A stunning winery and tasting room will open this year. The 2010 Rosé is vinified as a rosé and not a saignee, and is a fine example with fresh, bright red fruit flavors highlighted by a grassy, herbal note. The 2009 Santa Maria Valley Pinot Noir has a tasty array of plum and berry fruits but is not exciting. The 2009 Estate Santa Maria Valley Pinot Noir is a barrel selection and represents the entire vineyard. It contains more whole cluster and is a strikingly complex wine with considerable nuance and non-fruity contributions; simply outstanding. Keep you eyes on this new Central Coast star. Riverbench Vineyard & Winery: Owned by a group of local families who purchased the property in 2004, this is another bright star in the Santa Maria Valley. The 2010 Estate Santa Maria Valley Pinot Noir is classic for this region with copious plum and black raspberry fruit with ripe tannins and early drink ability. The 2010 One Palm Santa Maria Valley Pinot Noir is a single clone (667) wine that is fruity and simple with supple tannins. The 2010 Mesa Block Santa Maria Valley Pinot Noir is the real deal, packed with dark fruit flavor, yet light on its feet, finishing clean and persistent. Clarissa Nagy, who has made wine in the Santa Maria Valley for 17 years, is the new winemaker, following in the footsteps of veteran Chuck Ortman who retired at the end of the 2011 vintage. She has made wine for Bonaccorsi Wine Company since 2006. Scherrer: Fred Scherrer was pouring a very impressive lineup of wines. Fred is a no-nonsense guy who is very modest, and lets his wines do the talking. The 2008 Russian River Valley Pinot Noir is to be released shortly and displays lovely aromatics, bright cherry fruit and mild tannins. The 2008 Platt Vineyard Sonoma Coast Pinot Noir is orgasmic with its lovely aromatics, luscious dark fruits and well-mannered tannins. This vineyard is quickly becoming a star in California and this was my Wine of the Event! The 2007 Big Brother Sonoma Coast Pinot Noir from a vineyard near Annapolis was dark and moderately muscular, but with good acidity and restrained tannins, it drank amazingly well. My second Wine of the Event! The 2009 Big Brother is way to young to play around with now although it clearly has the potential to match the 2007. Thomas Fogarty: The last vintage from the Windy Hill Vineyard in the Santa Cruz Mountins (2008) was a classic with perfect combination of inviting aromatics, vivid fruit, soft tannins and a smooth texture. This vineyard was planted to old Martini clone, was pulled out in 2011, and will be replanted. The 2008 Rapley Trail Santa Cruz Mountains Pinot Noir was also offered. This is a more rugged wine with substantial tannins and an herbal and spice component from 25% whole cluster. Give this wine 5 to 10 years. Thomas George Estate: I had tasted most of the wines that were being poured. The 2009 Cresta Ridge Vineyard Russian River Valley Pinot Noir was recently released and shows remarkable potential. Still tight with alluring fruit lurking among the prominent oak and tannins. This winery has exploded on the Westside Road scene and is crafting a very impressive lineup of Pinot Noirs and other varietals. The winery is a must visit if you are in the area. Vision Cellars: Mac McDonald, dressed in his signature overalls, is one of the very few African-American winemakers in California. His winemaking has been heavily influenced by Burt Williams. 2009 Coster Vineyard Russian River Valley Pinot Noir was typical from this region with bright Bing cherry fruit, baking spice and mild tannins. The 2008 Chileno Valley Vineyard Marin County Pinot Noir was less appealing with an earthy, savory character and finishing heat. The 2008 Rosella’s Vineyard Santa Lucia Highlands Pinot Noir was the standout with a feminine, red-fruit style that was hard to resist. 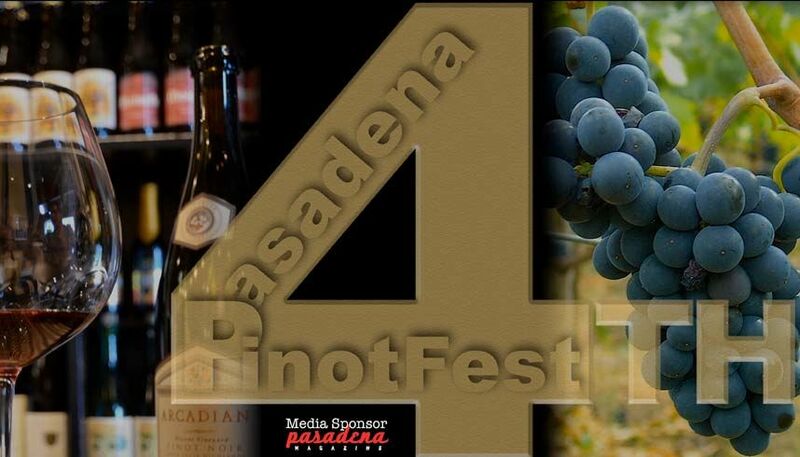 I attended the 2012 PinotFest Grand Public Tasting at the Altadena Country Club in Altadena, California. The task of tasting wines was complicated by the small room and crowding of tables along with an enthusiastic and noisy, yet spirited crowd. The sold out celebration is put on by Noir Food & Wine in Pasadena, with all proceeds benefiting the Hathaway-Sycamores Child & Family Services. The event was the culmination of a month long series of dinners and tastings. There were Pinot Noirs, Rosés and Chardonnays poured from nearly 60 wineries. An important distinguishing feature of this tasting, compared to Pinot Days, was the wide array of food offered by the Cheese Store of Pasadena, Claud’s Gumbo, Noir Charcuterie, PolkaTots and the Altadena Country Club, which was included in the ticket price. These walk-around tasting events are not meant for serious tasting as the large crowds prevent this, but general impressions can be gained which can then open the door to further exploration of the wines of special producers. Among the producers I was able to engage, I can offer some recommendations to guide you in your continuing quest for great Pinot Noir. Coeur de Terre Vineyard: Proprietor and winemaker Scott Neal and his spouse Lisa, were the only representatives from the Willamette Valley at the event. Located in the McMinnville AVA, Coeur de Terre (“Heart of Earth”)Vineyard specializes in estate grown Pinot Noir. They planted the vineyard, farm the land, and live on the estate. Unique to Oregon, but commonplace in Burgundy, Scott has begun to replace vines in his vineyard by cuttings from the most special vines, a massale collection program. The 2010 Oregon Pinot Noir ($20) is the winery’s entry level wine, composed of Dijon and Pommard clones. It is an easy drinking wine featuring savory red fruits and surprising good structure at this price level. The 2009 Estate Pinot Noir is 50% Pommard clone and shows it with more intensity, more bones, more tannin, and would please any pinotphile. The 2006 Renelle’s Block Reserve Pinot Noir is from a 3-acre block first planted by the owner’s friends and family. This shows even more Pommard character since it is from a warm vintage where Pommard really shows its metal, with copious darker fruits, well-managed tannin and complimentary oak. Derby Wine Estates: Pinot Noir is produced from the Derbyshire Vineyard located off Highway 1 between Cambria and San Simeon, bordering the Hearst Ranch, and 1 mile inland from the Pacific Ocean. It may be located closest to the Pacific Ocean of any vineyard in California. There has been a mini resurgence of sparkling wine among California Pinot Noir producers (think Flying Goat, Clos Pepe, and Inman Family Wines among others) and Derby was pouring their 2007 Estate Brut Rosé ($54). The wine is modestly fruit forward displaying strawberry aromas and flavors, finishing bone dry, and very pleasing. The 2008 Derbyshire Vineyard San Simeon San Luis Obispo County Pinot Noir ($36) is a terrific wine that I have reviewed in the past. Strikingly aromatic with delicious flavors of black cherries and black raspberries, the wine has a spicy accent, and supple tannins. One of the best Pinot Noirs I tasted at the event. The 2007 Derbyshire Vineyard San Simeon San Luis Obispo County Reserve Pinot Noir ($42), on the other hand, is much less appealing as it is super ripe with a prominent oak underbelly (aged 34 months in 80% new oak). 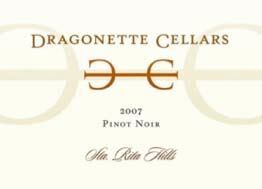 Dragonette Cellars: This newer producer (first vintage was 2005) is a partnership between brothers John and Steve Dragonette and close friend Brandon Sparks-Gillis, all of whom have had hands on experience at wineries such as Sine Qua Non, Torbreck, Fiddlehead Cellars and Demetria Estate. Brandon was pouring at the event and I really enjoy the bright enthusiasm he radiates for his wines. The 2011 Pinot Noir Rosé ($20) was the first bottled 2011 vintage wine I have had from California and it was a beauty with bright and crisp flavors of strawberries and raspberries and a zip of acidity. The 2010 Santa Rita Hills Pinot Noir was sourced from the Sebastiano Vineyard primarily with contributions from several others. It is a middleweight wine that offers a decent core of red plum fruit and is easy to drink. The 2010 Santa Rita Hills Pinot Noir (black label) is a step up, composed of a barrel selection from three nearby vineyards: Fiddlestix, La Encantada and Cargasacchi. The 2010 Fiddlestix Vineyard Santa Rita Hills Pinot Noir (not released) was striking. Only bottled in late January, the wine was open and the fruit really popped. It’s noticeable super soft tannins were secondary to a very long hang time. 30% whole cluster added just enough structure and spice for interest. A killer Sauvignon Blanc is also offered from warmer sites in Santa Ynez Valley (the 2010 has a slight tropical character with lovely fruit and a soft texture), and as well as a second bottling from Happy Canyon. The entire lineup can be recommended and I would look to this producer for high quality Santa Rita Hills Pinot Noir. 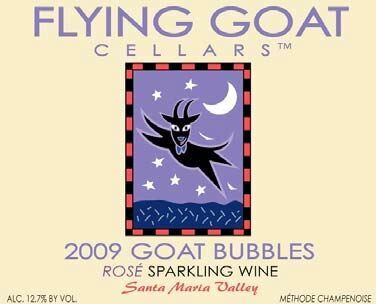 Flying Goat Cellars: Veteran winemaker Norm Yost has led the charge in the renewed interest in California sparkling wine with his “Goat Bubbles” previously reviewed in the PinotFile. I was particularly taken by his current Pinot Noir offerings. The 2009 Garey Ranch Santa Maria Valley Pinot Noir ($42) is spectacular with demure but satisfying fruit flavor, exotic spice and very supple tannins. One of the best Pinot Noirs tasted at this event. The 2009 Rancho Santa Rosa Vineyard Santa Rita Hills Pinot Noir is from clone 667. It is a little bigger, more darkly fruited with more substantial ripe tannins. Thoroughly enjoyable. The 2009 Rancho Santa Rosa Vineyard 2A Santa Rita Hills Pinot Noir is also appealing, crafted from the Wädenswil clone which does especially well in this vineyard. This winery is also a very reliable source of Santa Rita Hills Pinot Noir. Gypsy Canyon: One of the most interesting stories in the Santa Rita Hills, Gypsy Canyon is quite unique. Owner and winemaker Deborah Hall is a former nurse who, along with her late physician spouse, bought the property in 1994, intending to have a retirement home. They discovered ancient Mission vines among the heavy cover of brush and Hall now makes one of California’s most precious dessert wines, the Ancient Wine Angelica, a rich, fortified wine from the Mission Grapes. Hall also farms an estate vineyard planted to Pinot Noir and Pinot Gris, crafting her wines in Santa Maria. The Gypsy Canyon bottle is a nod to California history and is quite striking. Hall uses a hand blown bottle of historically early California correct shape with an embossed glass seal, a handmade paper label, and a beeswax seal. Each bottle is numbered and signed by Hall. The wine inside is quite good as well. The 2009 Trois Pinot Noir ($95) is a blend of estate fruit and grapes from two other prominent unnamed vineyards in the Sta. Rita Hills AVA. A bit darker fruited than the 2008 version, it has a lovely perfume of black cherries and exotic spice and delicious flavors of black raspberries and plums with an intense and persistent finish. The 2010 vintage will premier at World of Pinot Noir in early March. Harrington Wines: There was quite a buzz over Brian Harrington’s 2010 Terrane Mendocino Pinot Noir. This organic wine contains absolutely no sulfites and had been bottled only a day prior. It is one of the wines that fits nicely into the “natural” wine category that is capturing the interest of wine consumers. I found it interesting with a bright, spicy, grassy nose and flavors of fresh raspberries, herbs and oak. It is not a wine that I can get terribly excited about, but it has merit and shows the direction some winemakers are choosing to go with surprisingly good results. Brian thinks the wine will age as well. Phantom Rivers Wine: This was my first encounter with this Central Coast producer who has a tasting room in the village of Arroyo Grande. The winery was created in 2004 by four couples who shared a passion for winemaking. The name Phantom Rivers pertains to the misty fog that streams in and out of the region. 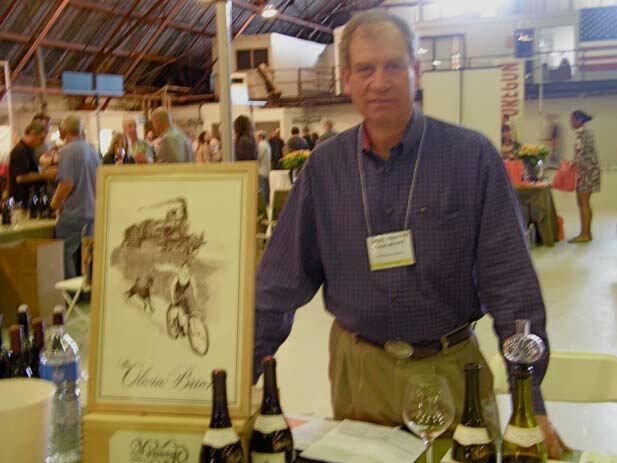 The winemaker is John Thunen, PhD, whose background was as a physicist in the aerospace industry. 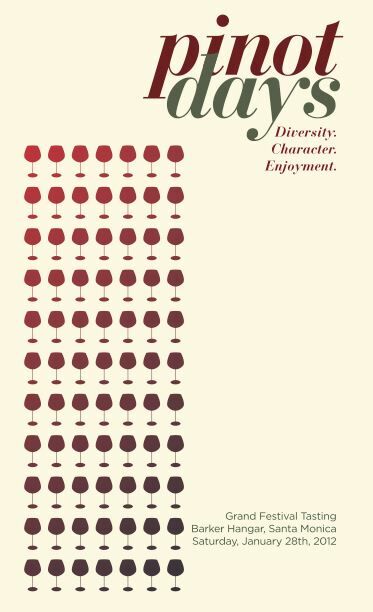 A number of varietals are offered. The 2009 Mar Vista Vineyard Arroyo Grande Pinot Noir unfortunately consisted of only 1-2 barrels and is sold out. The fruit really pops in this stunning wine. The 2008 Wolff Vineyard Edna Valley Pinot Noir is a solid medium bodied offering, replete with black cherry and plum flavor. The 2007 Wolff Vineyard Edna Valley Pinot Noir is similar but darker with more vibrant fruit expression. Both wines are composed of Dijon and Pommard clones, and aged in 30% new oak. Paul Mathew Vineyards: Always good to see smiling Mat Gustafson, the winemaker who is turning out a beautiful lineup of Sonoma County Pinot Noirs. He has a varied background, having been a sales representative for Joseph Phelps Vineyards, the Wine Buyer and Assistant Manager at the Oakville Grocery in Healdsburg, and a winemaker at Sebastopol-Dutton Estate Winery under Merry Edwards. Under his own label, he employs indigenous yeast fermentations, very little sulfur dioxide, and bottles without filtration. His wines are sold primarily through a mailing list. The 2009 Russian River Valley Pinot Noir ($32) is a three vineyard blend (TnT, Ruxton and Horseshoe Bend) that is very approachable with a lovely core of black cherry fruit. The 2009 Horseshoe Bend Russian River Valley Pinot Noir ($40) is unusual in that it is composed of Dijon clone 113, and is more savory and herbal, the result in part of aging in 50% new oak. The 2009 TnT Vineyard Russian River Valley Pinot Noir is from a 2-acre site on Occidental Road planted in 1999 and 2000 with relatively tight 4’ x 4’ spacing in the Green Valley sub region of the Russian River Valley. It contains Dijon clones 114, 115, 667 and 777 and is aged in 44% new French oak barrels. This was my clear favorite in the lineup with a full charge of delicious black cherry fruit, complimentary oak, and a subtle touch of savory herbs, all wrapped in silky tannins. The 2009 Ruxton Vineyard Russian River Valley Pinot Noir ($40) is a middle weight offering composed of Dijon clones 667, 777 and 116, aged in 35% new French oak barrels, with oakimbued and earth-kissed dark cherry and plum fruit that could use some more time in bottle. If you are a Russian River Valley Pinot Noir fan, Paul Mathew wines are definitely worth exploring. Rozak Vintners: My first encounter with this Santa Rita Hills producer of Pinot Noir from Rozak Ranch Vineyard. Randy Rozak crafts distinctive wines that have significant structure for long term aging. The 2005 Rozak Santa Rita Hills Pinot Noir, composed of a mix of clones, was savory and herbal, even tomatoey, with some softening of tannins due to aging. The 2007 Pommard Santa Rita Hills Pinot Noir was aged in 25% new oak and displayed a solid core of dark cherry fruit and a healthy backbone of brawny, fine-grain tannins. The 2007 Dijon Santa Rita Hills Pinot Noir was lighter in weight with prominant cherry flavor, and again, a muscular, mildly astringent tannic spine. These were not my favorite wines tasted at the event, but they are age worthy wines built more for drinking with hearty foods and would not be expected to show as well in a brief walkaround tasting venue. Rozak also offers Chardonnay and Syrah from purchased grapes. The winery has no website, but tasting and purchasing is available by appointment in Lompoc (805-736-1184). 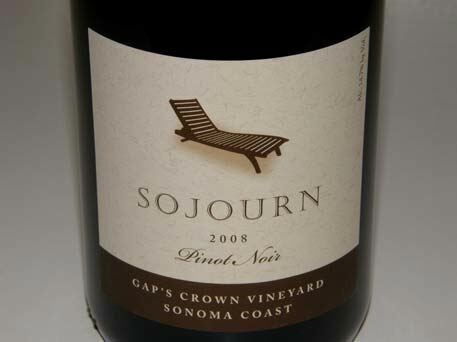 Sojourn Cellars: Exuberant Craig Haserot was on hand to present his 2010 Pinot Noirs. His buddy, Erich Bradley, is the talented winemaker. They founded the winery in 2000 and released their first Pinot Noir in 2004. Their wines have won considerable praise from the wine press including myself and production has increased from 3,000 cases to 5,000 cases in 2011. This was a very busy table at the event and comments I overheard about the wines from attendees were all very favorable. The 2010 Sonoma Coast Pinot Noir is an eight vineyard blend which is decent. The 2010 Rodgers Creek Vineyard Sonoma Coast Pinot Noir from the Petaluma Gap region was spectacular. This wine contained some Pommard whole cluster and some added clone 777. The wine offered very forward aromatics even at this young age and displayed a well balanced array of Pinot fruits on the palate with complimentary accents of spice, herbs and oak. The finish was incredibly long. The 2010 Sangiacomo Vineyard Sonoma Coast Pinot Noir was a bit linear at this stage with pleasant dark plum fruit and a creamy mouth feel. The 2010 Gap’s Crown Sonoma Coast Pinot Noir was the darkest, ripest and biggest wine in the lineup but very seductive with a full load of dark fruits and tasty spice. The first Cabernet Sauvignon from the gamed Beckstoffer Vineyards Georges III in Rutherford, what Craig calls “dark Pinot,” was outstanding. This is definitely a producer that is on its game. Sojourn has a tasting salon located just off the Plaza in downtown Sonoma where seated tastings are offered by appointment (707-938-7212). Toretti’s Family Vineyard: Discovering previously unknown to me producers is one of the reasons I love to attend these events. The wines from Toretti were a revelation. Who knew? Owner Bob Torres has been farming grapes since 2000 and producing wine under his own label beginning with the 2006 vintage (Casa Torres Vineyard), subsequently changing the label to Toretti’s Family Vineyard. The estate Pinot Noir vines consist of 5 acres that were planted in 2000 on the family’s 10-acre property 13 miles inland from the Pacific Ocean in the Santa Maria Valley. The initial winemaker was Lane Tanner but the current hire, Paul Wilkins (Alta Maria, Native9), has worked magic with the Toretti’s Family Vineyard. The 2010 Santa Maria Valley Pinot Noir ($44) is aromatically charming with a bright cherry scent and palate pleasing with a tasty core of red cherries and raspberries. The 2009 TFV Inocencio Santa Barbara County Pinot Noir ($44) was light in color but packed with luscious black raspberry flavors, perfectly weighted with supple tannins ideal for current drinking. The 2008 Early California Santa Barbara County Pinot Noir ($42) was more earthy and savory and less fruity, and appealing on another level. The 2008 TFV Santa Barbara County Pinot Noir ($40) was similar to the Early California bottling with more blueberry flavor. All four wines were very elegant, beautifully balanced, and highly approachable now. 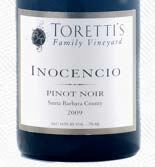 The website is www.toretti.com where the wines may be ordered (wines are discounted 15% below the prices listed here). Total production is 950 cases annually of Pinot Noir, Syrah and Chardonnay. A tasting room is planned. Zotovich Cellars: The 35-acre Zotovich Vineyard sits in the heart of the Sta. Rita Hills appellation between Melville and Foley wineries. The vineyard supplies fruit for several producers and small lots of estate fruit are vinified by Ryan Zotovich under the Zotovich Cellars label. Ryan has been an assistant winemaker at Palmina and Sea Smoke and initially worked along side consulting winemaker Steve Clifton of Brewer-Clifton until he got his footing at Zotovich Cellars. The 2009 Estate Sta. Rita Hills Pinot Noir ($34) is light to mid weight with lovely herb-inflected cherry aromas and flavors with a good cut of acidity. The 2009 Estate Reserve Sta. Rita Hills Pinot Noir ($46) consists of the best 3 barrels in the cellar which all happened to be clone 114. 30% new French oak. The fruit really sings in this wine with a brilliant display of hi-tone black cherry front and perfectly matched tannic wrap. The finish is moderately intense and memorable for its length. Great potential here.